Wood Appearance without Wood Maintenance. 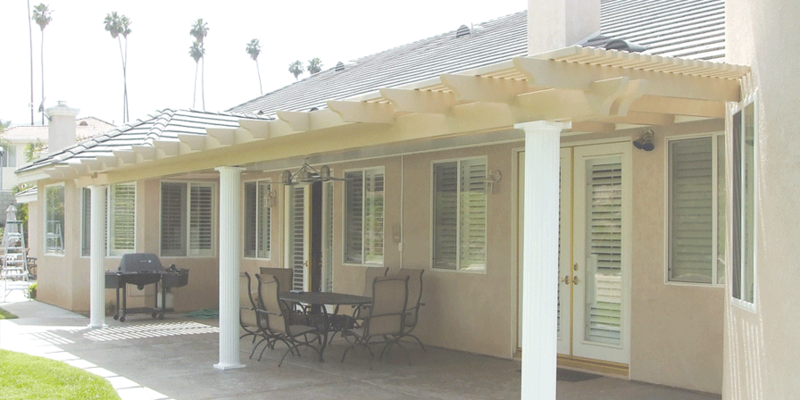 Whether it’s a Lattice or Solid Patio Cover, Alumawood’s durability and affordability will add to your home’s appearance and value. Our material is treated with a ®Dupont Teflon finish for stain resistance and color stability. Backed by some of the strongest warranties in the industry, Alumawood by Amerimax is engineered to withstand high winds and snow loads for most areas in Southern California. Lattice from Amerimax is not only practical, its beautiful. 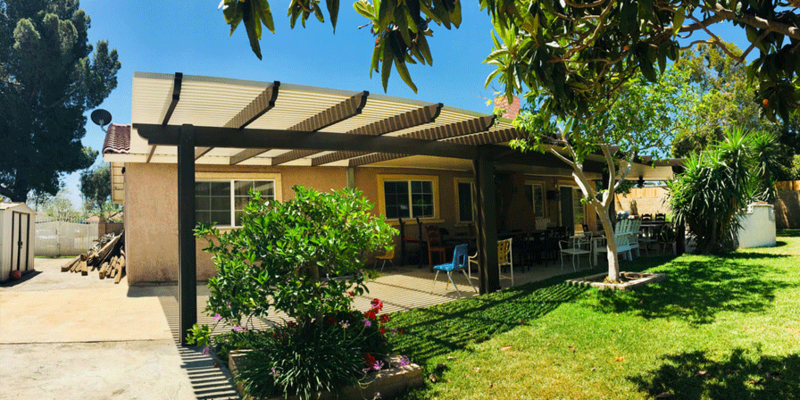 A lattice patio cover provides shade for your outdoor living space without screening out refreshing breezes. Plus, the look of lattice adds sophisticated charm to your home’s exterior. A solid patio roof is your best choice for providing you and your outdoor furniture with maximum protection against the elements. You will be able to use and enjoy your outdoor living space even when the weather isn’t ideal. 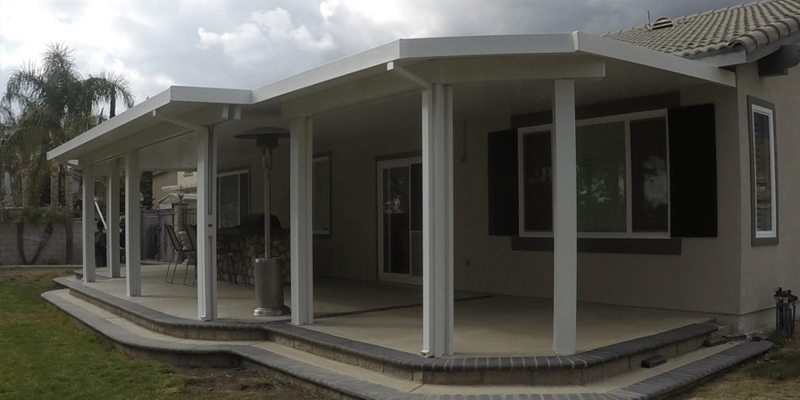 Patio Room Enclosures have custom insulated panels that are designed to cut heating and cooling costs and are fashioned for maximum durability in hot or cold weather. Rooms offer multiple options for the homeowner. Kick Panels and Transoms can be glass or board with custom sizes and electrical can be provided for ceiling fans, lights, and outlets. 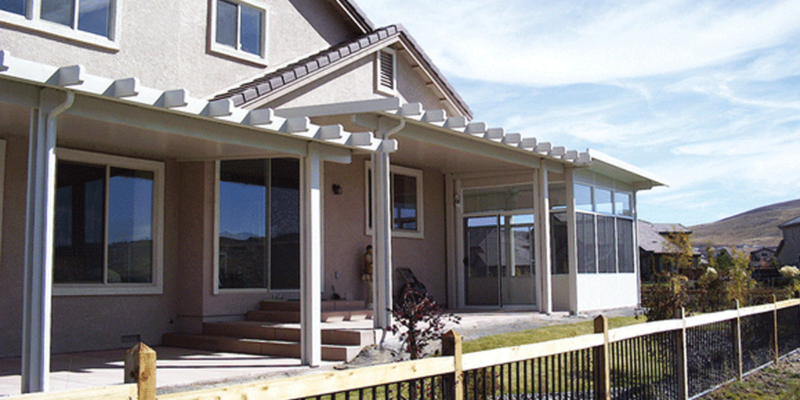 West Coast Siding and Trim has been installing quality aluminum patio covers and enclosures since 1992. We have grown to become one of the largest contractors in California selling and installing room products. West Coast Siding & Trim services all of Riverside County, San Bernardino County, and parts of Orange County and LA County. 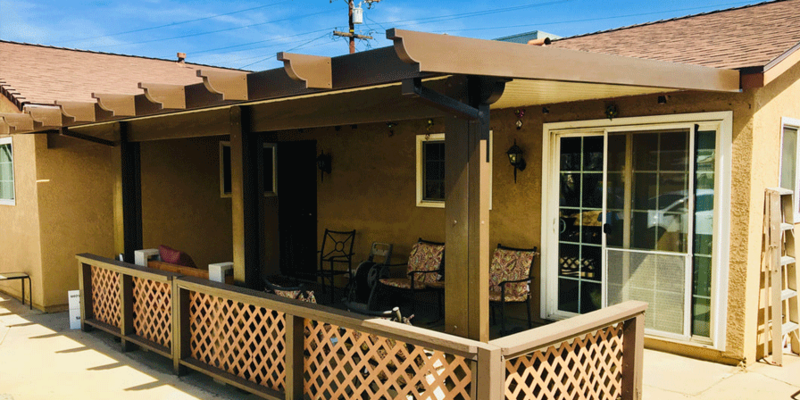 Whether we’re building an Alumawood patio cover in Rancho Cucamonga or Riverside, California, you’ll be treated like you’re next-door. 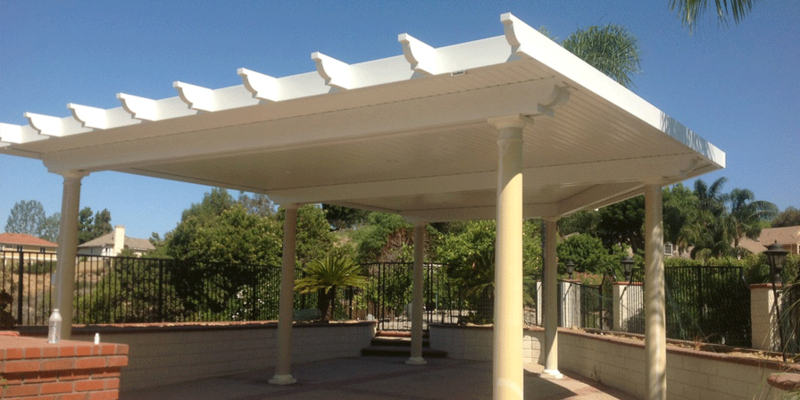 West Coast Siding & Trim has over 25 city business licenses for all your aluminum patio cover needs and we have been your preferred platinum dealer for Southern California for over 25 years. Contractor’s License # 615917.